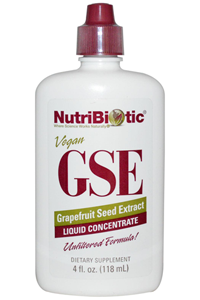 Grapefruit Seed Extract is a natural compound derived from the seed and pulp of grapefruit. 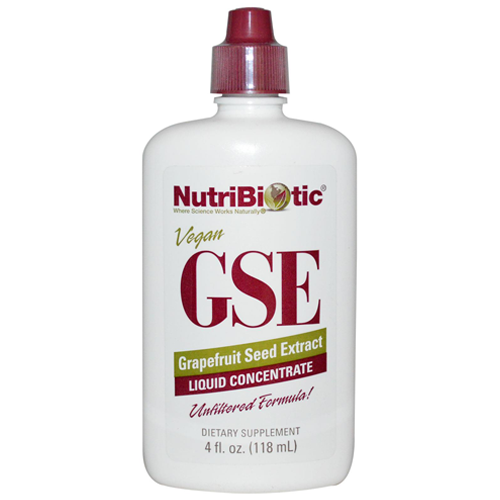 NutriBiotic GSE is a vegan and unfiltered food supplement. For children 5 years of age and older, mix 3 drops into a glass of water or juice, 1-2 times daily. Or use as directed by your healthcare professional. Do not use full strength in mouth.